We are living in an “I want it now society”. We all want fast service and easy accesss when it comes to our food, laundry and music, so why not Fashion? iOS is, hands down, THE BEST mobile platform for shopping. Two reasons why: ShopStyle and Stylebook. These apps are NOT available on other platforms. And while most of these services are offered online, who does that anymore? My Dell desktop and Macbook serve specific purposes, and shopping is not one of them! To upgrade the way you shop, just in time for the holidays, read on! Ever have an idea to pair a red hat with a nice, new sweater you just bought? Sure, you can check your favorite stores, but why not check ALL stores at once… for different ideas and inspiration? Enter ShopStyle by PopSugar! This app is amazing!!! Simply enter search text and it will show you offerings from a host of stores and brands like Tory Burch and GUCCI, Neiman Marcus, Macy’s and even Amazon! Clothes, shoes, jewelry, home goods it’s all there! Our little search for “woman’s red hat” resulted in 829 choices. And if you find one that you like, but not at the right price, create a price alert and the app will notify you when it goes on sale, either by push notification or by email. If it’s time to buy your go-to face wash, do a search and see who has it on sale. Did I mention this app is only available on iOS? ABSOLUTELY AMAZING! Think About Where You’re Going and What You’ll Be Doing. All work and no play? Or a little of both? Select A Color Palette. You know like, brown or black, gold or silver. Create A List of the pieces you will take. Record Outfit Ideas. Right in the APP! Organize. You can create a custom packing list by trip in the app. Think you did a good job?? Rinse and repeat! Schedule your outfits and assign them by day on your phone’s calendar! Pack. Louis Vuitton shows you how in The Art of Packing. 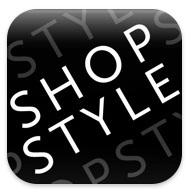 If you need more info, check out these videos on YouTube: StyleBook, ShopStyle, RetailMeNot, otherwise happy downloading!